Diagnosis, risk stratification, and the management of patients with polycythemia vera (PV) and myelofibrosis (MF) have all been significantly improved by the inclusion of a greater understanding of the clinical and molecular characteristics of these 2 different myeloproliferative neoplasms (MPNs), according to Abdulraheem Yacoub, MD. These characteristics are essential to the diagnostic workup of an MPN, Yacoub said, and in helping to differentiate between these diseases. For example, in the diagnosis of PV or primary myelofibrosis (PMF), chronic myeloid leukemia is excluded as a possibility based on testing for BCR-ABL1 rearrangements. “The biggest revolution started upon the discovery of the driver mutations of myeloproliferative neoplasms: the JAK2 mutation, the calreticulin (CALR) mutation, and the MPL mutation. These mutations are present in 80% to 85% of essential thrombocythemia and myelofibrosis, and in 99% of patients with polycythemia vera. They are very important in the diagnostic workup as well as having prognostic value,” he said. A minority of patients, approximately 10% to 15% of patients, harbor none of these mutations. These are known as triple-negative MPNs, and the diagnostic workup is much more challenging for these patients, Yacoub noted. Next-generation sequencing, however, could identify additional mutations of value. He also recommended testing for bone marrow cytogenetics in patients with PV and MF as these patients could have karyotype abnormalities, which could be important for prognosis. Yacoub stressed the importance of risk stratification in MPNs. “Risk stratification for blood cancers is essential for many benefits, including assigning a prognosis for those patients and their caregivers for planning for their life events, in addition this is important for clinical trial design, enrollment, and comparison of clinical trial data. On an every-day basis, this risk stratification is important for treatment decisions and particularly for assigning patients candidacy for curative therapy with allogeneic stem cell transplantation,” he said. For PV, the risk status is divided into low and high risk and is mostly determined by the patient’s age (60 years or below) and history of thrombotic events alone. However, for MF, patients are separated into 1 of 4 risk categories that are determined by age, clinical features, cytogenetic abnormalities, and mutational analysis. These classifications are usually calculated using the International Prognostic Scoring System (IPSS), which is validated at the time of diagnosis, or the Dynamic International Prognostic Scoring System (DIPSS) or DIPSS-Plus, which can both utilized at any phase of the disease. Newer scoring systems, such as the Mutation-Enhanced IPSS (MIPSS) system, are also emerging. Additional mutations with prognostic value for MPNs, according to the National Comprehensive Cancer Network guidelines, include IDH1/2, EZH2, TP53, ASXL1, SRSF2, and U2AF1 Q157.2 The IDH, EZH2, ASXL1, and SRSF2 mutations especially carry a high molecular risk. And those with 2 or more such mutations have an even worse prognosis for survival. Yacoub simplified standard management for patients with MF and PV according to their risk status. For patients with low-risk asymptomatic MF, observation or a clinical trial are suggested with monitoring for signs and symptoms of progression, which would necessitate the initiation of treatment. Symptomatic patients, on the other hand, should be considered for cytoreduction for relief of their symptoms, and monitoring as well. He noted that the intermediate-1 risk group of patients with MF are the most heterogeneous. Symptomatic patients can be treated with ruxolitinib (Jakafi) or directed toward allogeneic stem cell transplantation or a clinical trial.2 If asymptomatic, these patients can also be recommended for observation and monitoring. For intermediate-2 and high-risk patients, management consists of evaluation of transplant candidacy. If not contraindicated or demonstrating a lower platelet count (≤50,000), these patients can be managed with a JAK inhibitor, such as ruxolitinib, or a clinical trial with consistent monitoring for response or every 3 to 6 months. Patients with symptoms of anemia who are not eligible for transplant should be managed for anemia and can be considered for clinical trials. Best supportive care for intermediate- through high-risk patients include erythropoietin-stimulating agents, immunomodulatory drugs, transfusion support, and low-dose steroids. “Treatment of polycythemia vera requires addressing more issues than that,” Yacoub noted. He said that there are 3 pillars for the treatment of patients with PV targeting the symptoms and quality of life of the patient, reducing the clotting/thrombosis risk, and reducing potential transformation of disease to MF or acute myeloid leukemia. Patients with low-risk PV require frequent follow-up, including monitoring for thrombosis and bleeding and for potential progression. Risk of thrombosis can be managed by managing cardiovascular risk factors including hyperlipidemia and hypertension. Low-risk patients should receive aspirin therapy at 81 to 100 mg daily as well as therapeutic phlebotomy as needed to maintain a hematocrit level below 45%. “That would be sufficient for most patients,” Yacoub said. Evaluation for the need for cytoreductive therapy should be ongoing effort in case phlebotomy is no longer enough, he added. On top of the treatment options for low-risk patients hydroxyurea (Hydrea) or interferons can also be given to patients who are 60 years or older and/or have a prior history of thrombosis. Those who have an inadequate response to either of these agents can be switched or given ruxolitinib or put on a clinical trial. Yacoub said that interferons are an important therapeutic option for the majority of patients with PV or MF. However, it is important to pay attention to contraindications for interferon use, such as autoimmune disorders, solid organ transplant, macular degeneration, and uncontrolled depression. Adverse events may be common with interferons, but they usually can be managed without discontinuation and do improve with long-term use. He stressed that pegylated interferons, such as peginterferon alfa-2a (Pegasys) and ropeginterferon alfa-2b (PEG-Intron), are just as effective as interferons yet better tolerated. However, neither agent has been approved for use in the United States. Clinically significant adverse events seen with ruxolitinib treatment include thrombocytopenia, anemia, and increased risk of infections, particularly Shingles reactivation. Other common adverse events include dizziness, headache, and fatigue. Yacoub noted that there has been 1 report of a potential increased risk of lymphoma from treatment with a JAK inhibitor. The report suggested that 3 lymphomas were observed among 31 patients with MF who were treated with ruxolitinib (9.7%),5 however this has not been validated. A number of diverse agents are currently being investigated in earlier-phase clinical trials of MF and PV as well, such as luspatercept, a TGF-beta superfamily protein inhibitor; apoptosis protein inhibitors; histone deacetylase inhibitors, such as panobinostat (Farydak) and pracinostat; and telomerase inhibitors like imetelstat. Additionally, many agents are being considered in combination with ruxolitinib, such as PI3K inhibitors and pegylated interferons. “Some of these agents are meant to improve the anemia, some of them are meant to induce anemia, some of them are being investigated in the first line setting, or in combination with ruxolitinib, or after ruxolitinib failure. There’s a robust field moving on and hopefully some of these agents will make it to the market and be able to help many of our patients,” Yacoub said. Rumi E, Pietra D, Pascutto C, et al; Associazione Italiana per la Ricerca sul Cancro Gruppo Italiano Malattie Mieloproliferative Investigators. Clinical effect of driver mutations of JAK2, CALR, or MPL in primary myelofibrosis. Blood. 2014;124(7):1062-1069. doi: 10.1182/blood-2014-05-578435. NCCN Clinical Practice Guidelines in Oncology (NCCN Guidelines): Myeloproliferative Neoplasms. Version 2.2019. Published October 29, 2018. www.nccn.org/professionals/physician_gls/pdf/mpn.pdf. Accessed March 13, 2019. Vannucchi AM, Kantarjian HM, Kiladjian JJ, et al; COMFORT Investigators. A pooled analysis of overall survival in COMFORT-I and COMFORT-II, 2 randomized phase III trials of ruxolitinib for the treatment of myelofibrosis. Haematologica. 2015;100(9):1139-1145. doi: 10.3324/haematol.2014.119545. Verstovsek S, Vannucchi AM, Griesshammer M, et al. Ruxolitinib versus best available therapy in patients with polycythemia vera: 80-week follow-up from the RESPONSE trial. Haematologica. 2016;101(7):821-829. doi: 10.3324/haematol.2016.143644. Porpaczy E, Tripolt S, Hoelbl-Kovacic A, et al. Aggressive B-cell lymphomas in patients with myelofibrosis receiving JAK1/2 inhibitor therapy Blood. 2018;132(7):694-706. doi: 10.1182/blood-2017-10-810739. 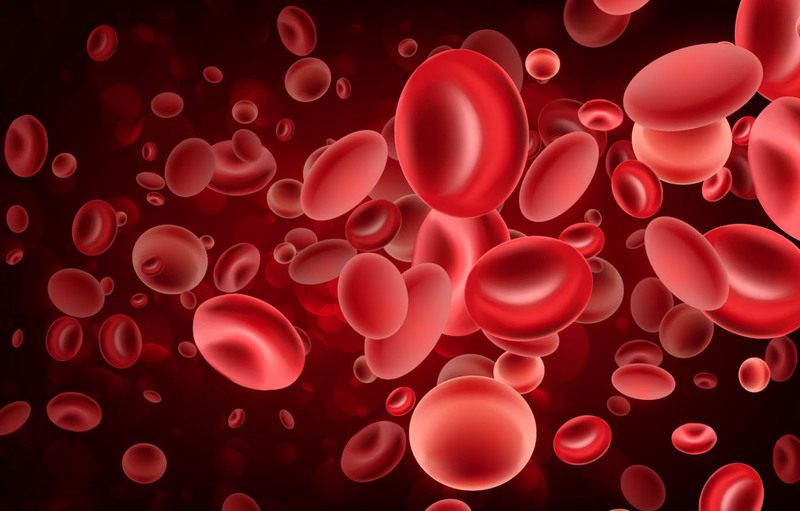 U.S. FDA Grants Priority Review for Fedratinib New Drug Application in Myelofibrosis. Celgene website. Published March 5, 2019. https://bit.ly/2H0Ec5i. Accessed March 13, 2019.